Welcome to Ali Bongo Cannabis Seeds, the UK's No1 Seed Shop. If you need any help please call us on 01603 760055. Feast your eyes on our selection of the most sexiest, popular and highly rated Cannabis Seeds we have available at Ali Bongo! 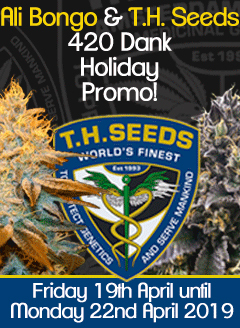 Ali Bongo, the UK's No1 head shop, we stock a huge variety of different Cannabis Seeds!